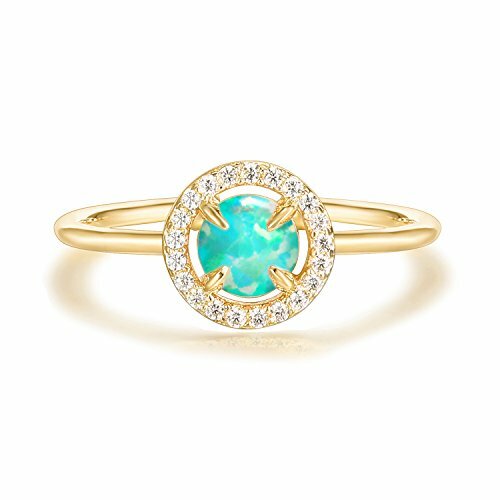 PAVOI 14K Yellow Gold Plated CZ and Created Green Opal Ring by PAVOI at The Bling Tree. MPN: K28-G. Hurry! Limited time offer. Offer valid only while supplies last. Opal Ring is ADJUSTABLE: Fits most finger sizes. A firm bend can adjust to size.